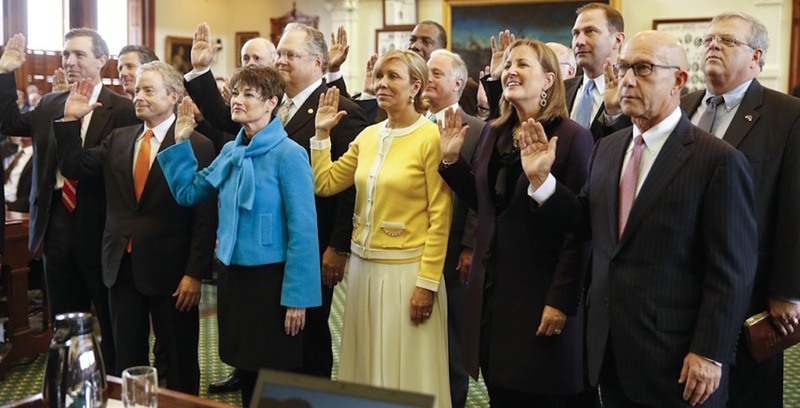 The assertions in a recent Texas Tribune article on the scarcity of women in Texas politics weren't a surprise, although I wish they had been. Unfortunately, based on my experience in looking at the role of women, it is clear that even in 2016, women do not feel as confident as their male counterparts in a variety of areas. Politics is often viewed as a particularly brutal combat sport, and not many women want to engage in it. But because the power to tax, regulate and change lives comes from and through politics, it is imperative for women to be well represented at all levels. The article commented on women being asked to run for office. In my own case, I was sitting in the gallery above the Texas Senate in late May 1991, and a friend of mine suggested I run for a new open seat in Travis County, House District 47. "It will be a piece of cake," he said. Nope. After a primary, runoff, recount and lawsuit, I won by two votes. Later in my career, two other men suggested I run for the position of agriculture commissioner in 1998, when it was clear that then-commissioner Rick Perry was going to run for lieutenant governor. I don't know if I would have thought of running for either office without those nudges. So perhaps my own experience does bear out the assertion in the article. Since retiring from elected office just over a year ago, I have spent considerable time thinking about the role of women. Repeatedly I hear that women are not as likely to believe they can move up in a job, after being in a position for over two years. This contrasts with the views of men, who are eager and ready to take on the next opportunity. I also know that having children and obligations in the home can present challenges. My own three sons were still at home when I first ran for the Legislature but had graduated from high school or were nearly grown when I ran for statewide office. When I caught wind of the Austin City Council consultant brouhaha over the requirement to treat women differently because they don't like numbers and ask questions, I got a little fired up. If this could happen in famously liberal Austin, what on earth was happening elsewhere? When it comes to politics and the elections process, it's most important to support a candidate who not only aligns with your values and principles but also brings the right mix of smarts and life experience to the table. I know plenty of women who fit that definition who don't realize they're needed in the conversation. If you're a woman waiting for an invitation to get into politics, consider yourself invited. Whether you simply devote time to being a more informed, active voter or actually throw your hat in the ring as a candidate, it's time for the best of the best to engage in the process of governing — male and female alike.